Roll a hand-towel lengthwise and fold about 4 inches of one end back under the roll. Place the towel on a flat, comfortable surface and then place your TolaPoint on the folded end. Lie to settle your neck gently onto your Point. 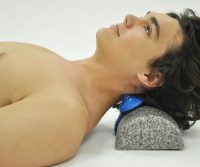 Relax your neck, shoulders and upper back and use the weight of your head to generate the pressure. 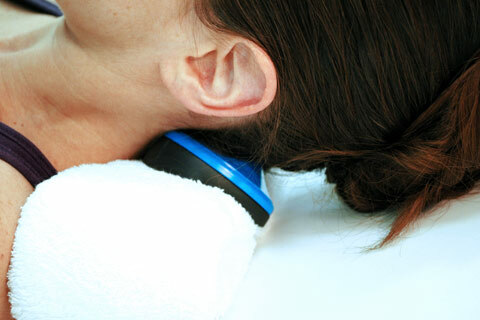 Important: When massaging your neck area, avoid putting pressure on your vertebral or carotid arteries. 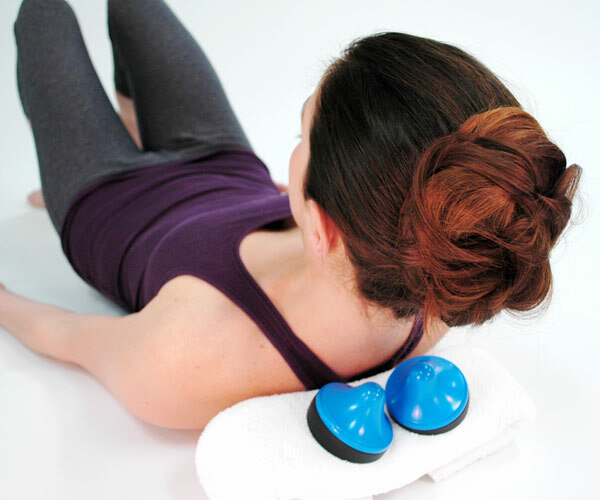 A simple rule is: never massage a pulse. 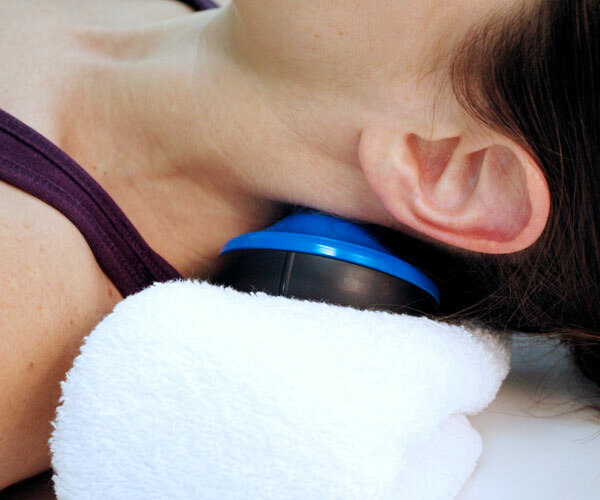 Be aware however, that the pulse from your vertebral artery may be difficult to detect. Consult with your therapist or doctor if you are unsure. 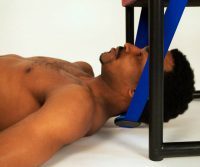 Angle your Point backwards to reach your occipitals. 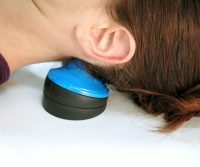 Use two Points to work both sides of your neck simultaneously.